Rafet Saltik started to work as a professional translator in 1982 during the time when he was a university student. He established his first translation agency in 1988. 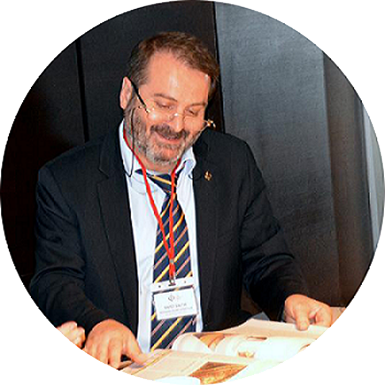 He worked in the Istanbul University as a lecturer until 1998 when he focused all his work on translation thoroughly. With his translation style, Saltik attracted attention of global brands in a short time and provided document translation services to his international customers. From the beginning of 2000s, he started to engage localization projects of medical devices. As a sub-contractor for Turkish language in the translation and localization project for PMS medical devices, he participated a series of trainings in the Netherlands. He was a project manager during the following years for numerous translation projects of several global brands. He received training on CAT tools in Germany in 2005. As a reseller for SDL Trados Translation Productivity tools, he started to introduce computer aided translation tools in Turkey and 11 other countries in the vicinity. He delivered courses on computer aided translation and translation style for many teams of professional translators in public and private industries including Turkish Ministry of Foreign Affairs and Georgian Ministry of Justice. In his spare time, Rafet Saltik writes fiction books for children and loves gardening.